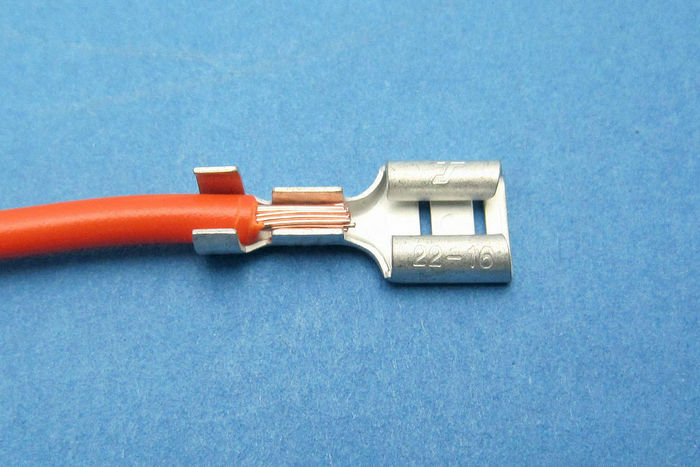 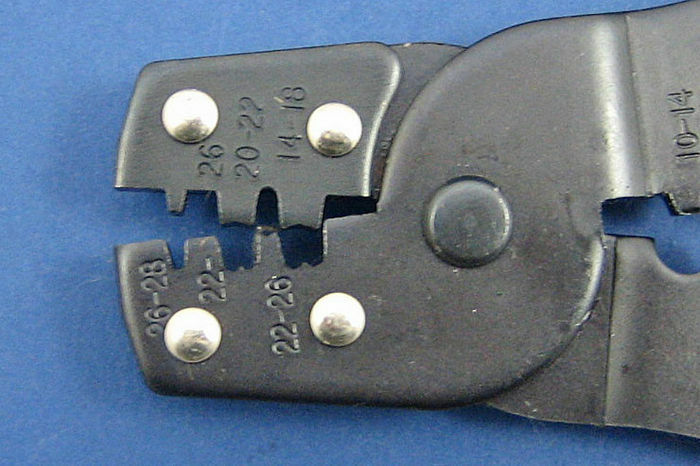 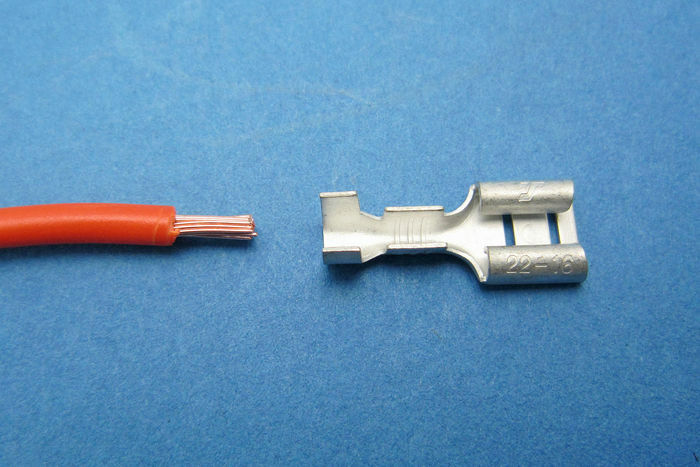 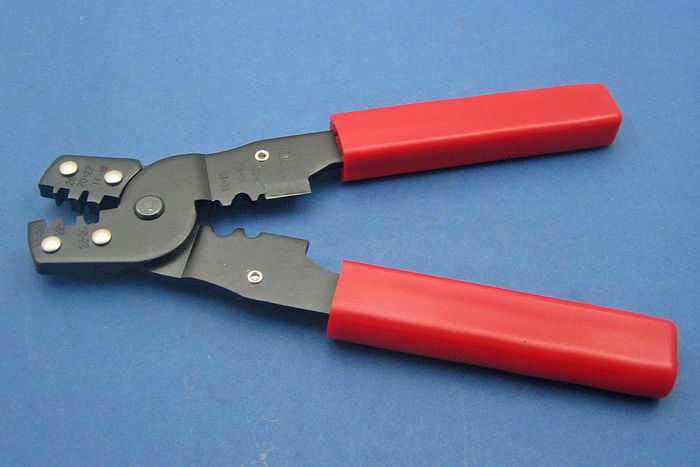 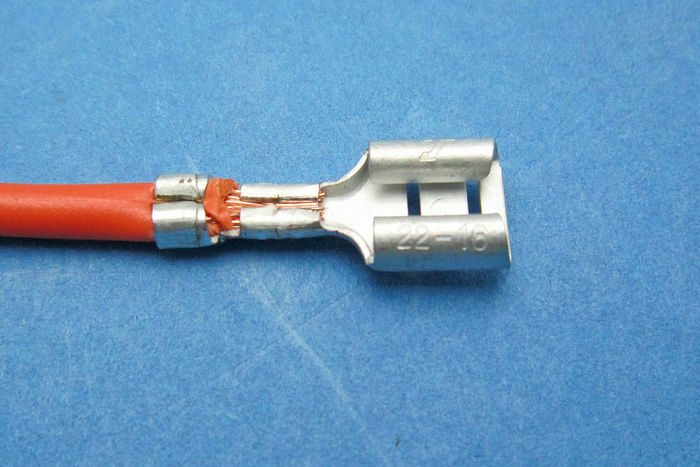 Robust and heavy duty tool for crimping many non-insulated terminals. 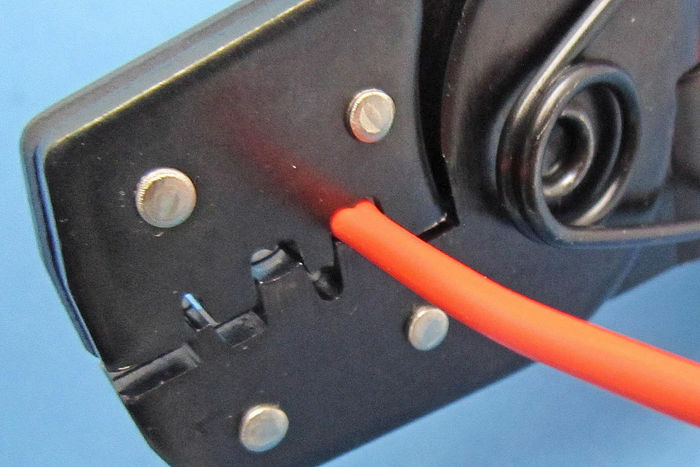 Folds tabs over and into wire and insulation. 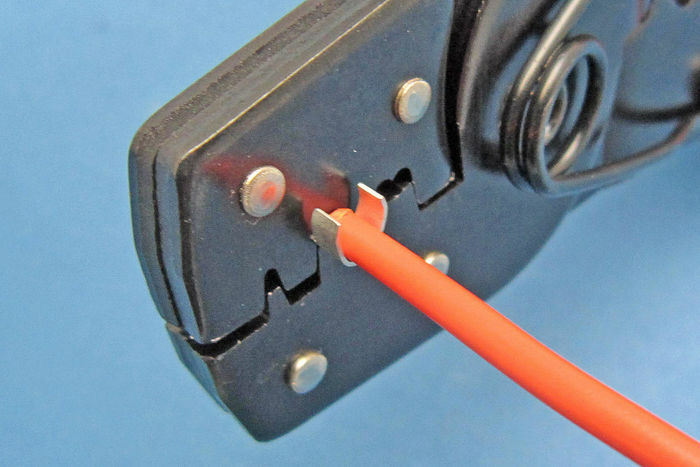 Also features wire stripper and cable cutter.